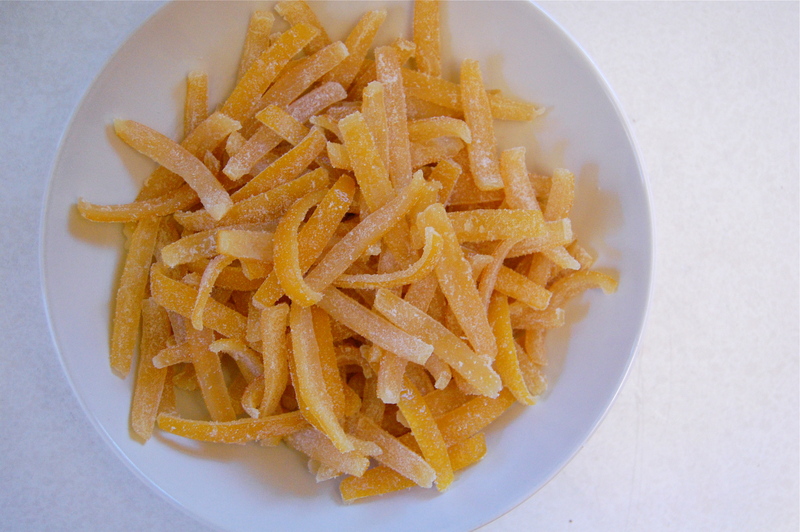 Meyer Lemon Candy Happiness | I made that! Thanks for the great step by step! I tried this this last weekend with orange peels. I am currently in the 2 day soak stage. I have a question. 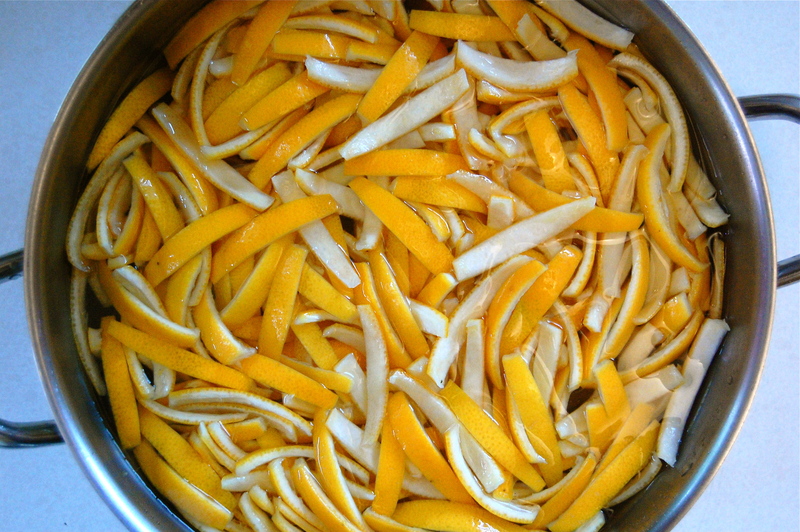 The 4 hour simmer left the peels in more of a thick syrup than watery consistency. As in, it’s all one big clump in the fridge right now. Should I rinse the peels off with water before drying? Or just declump as best I can and let them stay covered in the syrup? I’m thinking it might be best to just add some more water to the pot, until they declump, but not a full rinse. What would you suggest!? Thanks! Huh, I never had that problem! I suspect they were maybe cooked at too high a temperature, causing the water to evaporate. I would definitely try thinning the syrup out a little to see if they separate. You don’t want to rinse all their sugar off… Let me know how it goes! Man, I was afraid of that. I was having major troubles keeping it at a simmer. It was always either not boiling at all, or majorly bubbling. Shucks! I hope I didn’t ruin it! I’ll try rescuing it tonight. Thanks for your help! 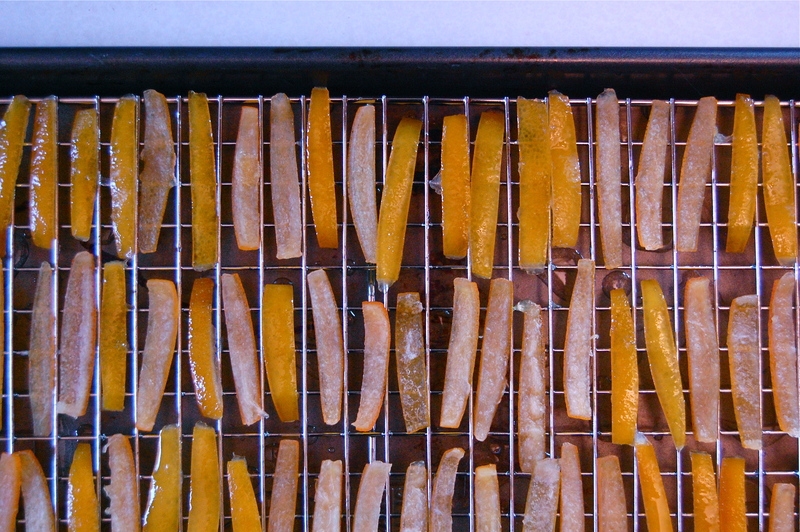 I had a mess of meyer lemons around this time last year, and I was looking for the perfect candied peel recipe. Now, I have it. I just need to get my hands on another stash of lemons… Thank you! Hi I share your obsession. 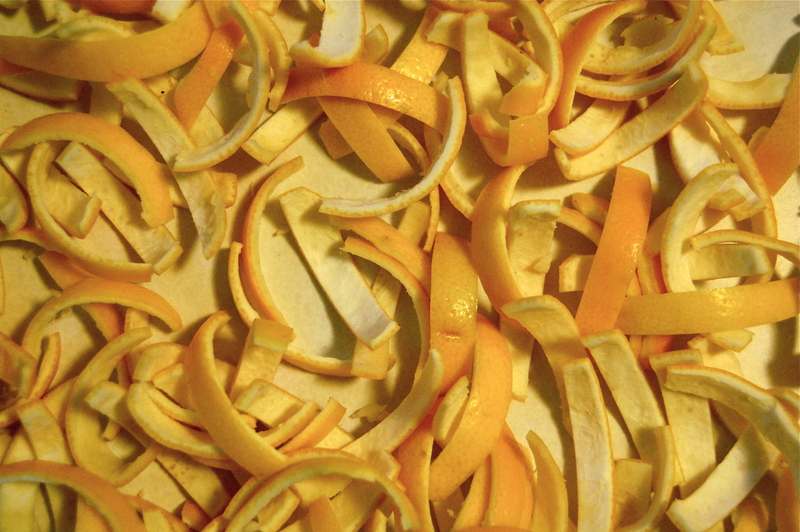 May I inquire about how you cut your peels into such lovely uniform shapes? And how do you remove the membranes/fruit? I usually halve and then juice my lemons first. Then I boil in water until cooked through. Then I remove what remains of fruit and most pith. (easier once softened by cooking) Then I cut! And my results vary. Not satisfactory….thus my inquiry. I’m eager to try your method.